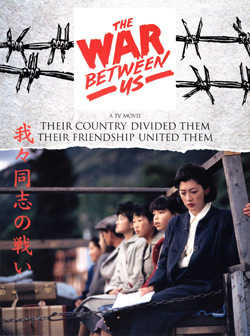 &apos;The War Between Us&apos; takes place during World War II in the interior of British Columbia and deals with the effects of the Canadian Government&apos;s policy of internment on the West Coast Japanese community. Two women become unlikely friends under extraordinary and tragic circumstances. Peg, a wife and mother struggling to keep the wolf from the door, and Aya, a young middle class Japanese Canadian women from Vancouver, grapple with their situation, as a frontier town becomes a Japanese community overnight. Ninety minutes in length, 35mm film. 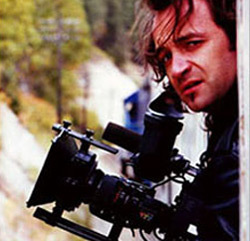 Nominated for six Gemini Awards including Best Picture TV International ranked &apos;The War Between Us&apos; as the highest rated film broadcast on Canadian television in 1995. 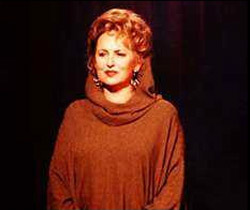 Winner of the Monaco Red Cross and the UNDA Silver Dove Awards at the 1996 Monte Carlo Television Festival, Gold Special Jury Awards at Worldfest Houston and Worldfest Charleston, a Gemini Award for Best Original Music, the 1996 British Columbia Motion Picture Association LEO AWARD for Best Picture and the 1996 CableACE Award for Best International Movie. Written by Sharon Gibbon. Produced by Walter Daroshin, Gary Harvey, Bill Gray, Valerie Gray. Directed by Anne Wheeler. The Stein Valley is one of the last remaining un-logged watersheds in British Columbia. Combined with the aboriginal rights and Native lands claims issues this environmentally sensitive area provides the backdrop for an annual music festival. Our program highlights the universality of aboriginal rights issues and the environment, while focusing on the music and the festival as proponents of those issues. Native and non-natives gathered together with a common cause and spirit. Entertainment includes Blue Rodeo, 54-40, and Paul Horn. Sixty minutes in length, video. Written and Produced by Walter Daroshin and Gary Harvey. Directed by Peter von Puttkamer. 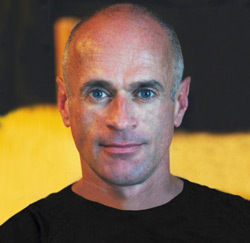 Called &apos;one of the wild boys of Polish art&apos; by Harold Schoenberg of the New York Times, Zbigniew Kupczynski is a painter with a well-developed and unique personal style. 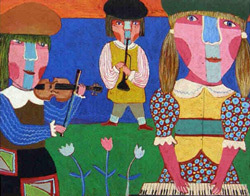 During a show at the Philadelphia Museum of Modern Art he shared the bill with Picasso, Miro, Chagall, and Klee. Eva Kupczynski, also from Poland, completed her studies in Warsaw and Stockholm, Sweden. Her tapestries, which range from 150 feet to 6 inches, have been exhibited across Canada and in New York. We meet them at play, at work, and at home with their family. Thirty minutes in length, 16mm film. Written, Produced and Directed by Walter Daroshin. 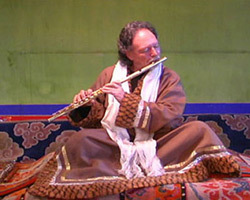 From a celebrity&apos;s life in Hollywood, to the remote hills of India, and finally to an ocean-side home on Vancouver Island, world renowned flautist Paul Horn has journeyed throughout his life: physically, spiritually, and musically. Tryntje Horn was born in Holland during the second world war. Denied regular schooling by the restrictions of the Occupation, she attended trade school to learn sewing, and became a champion figure skater. When these two met, their respective paths merged and veered due North where they settled off B.C.&apos;s west coast, on Vancouver Island. Thirty minutes in length, 16mm film. Written by Sharon Gibbon. Produced by Walter Daroshin. Directed by Tony Papa. The Chinese Cultural Centre arranged Vancouver&apos;s first dragon boat race as part of the Expo &apos;86 celebration. It has since developed into a world class event enjoyed by thousands of people. Set on spectacular False Creek the 1992 Canadian International Dragon Boat Festival provides a venue to foster sportsmanship, goodwill and a better appreciation of our multi-cultural heritage. 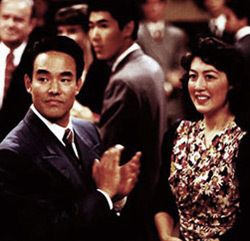 &apos;Spirit Of The Dragon&apos; is impressionistic in nature and was nominated as Best Documentary at the 1993 Yorkton Film Festival. Sounds and images blend together and explore the lyrical mysticism inherent within the Dragon Boat Festival celebrations. 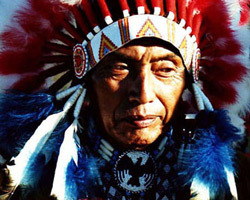 The film is hosted and narrated by The Honourable David C. Lam, Lieutenant Governor of British Columbia. Thirty minutes in length, 16mm film. Produced by Walter Daroshin and Gary Harvey. Written and Directed by Walter Daroshin. Hosted by renown sportscaster Ted Reynolds &apos;Dragons ‘96&apos; showcases the 1996 Canadian International Dragon Boat Festival and the World Championship Cup. The program features the semi-final and final races. 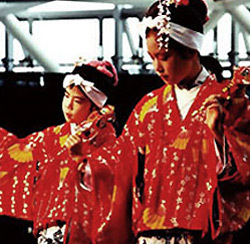 We witness the ceremony of the festival as well as a variety of cultural displays and performances. We profile teams in their home countries as they train and prepare for the World Championship Dragon Boat Festival. We tour and meet teams from New Zealand and Germany as well as teams from Canada and the United States. 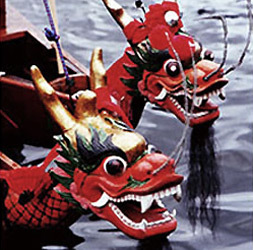 This world championship event marks an important evolutionary step in the development of dragon boating in Canada and North America and confirms the stature and prestige of Vancouver’s dragon boat festival in the sporting arena. Sixty minutes in length, video. Written and Produced by Walter Daroshin. Directed by Garth Fowlie. The Cowboy and the Iron Horse both played significant roles in the cultural development of our country. The railroad being the bloodline of the nation and the Cowboy the pioneering spirit of our great land. &apos;Iron Horse&apos; explores the melding of the romance of the railroad with the long standing Canadian tradition of Country Music. We juxtapose the grandeur of the Western Canadian mountainscape against the soft introspection of Country and Folk music as played by Gary Fjellgaard, Rocko Vaugeois, Danny Mack, Eric Johnson, Lisa Brokop, and Taylor James. Imagine being aboard the Rocky Mountaineer as it slowly winds it&apos;s way through eroded canyons, high plains desert, and the majestic Rocky Mountains. Thirty minutes in length, video. Produced by Walter Daroshin and Gary Harvey. Written and Directed by Walter Daroshin. 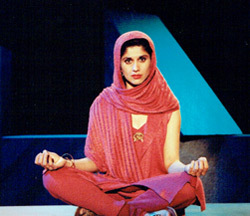 Written by Jan Derbyshire &apos;Maharani and the Maple Leaf&apos; is a one woman two-act play starring Veena Sood, who has been called &apos;Spalding Gray in a Sari&apos;. Says the heroine, Sushil Swani, "My spiritual well-being and my ambition have never been able to dance together." The play, produced by The Firehall theatre after a successful run at the Vancouver Fringe Festival, chronicles the cultural clash between the traditional Hindu side of Sushil, embodied by the delightfully daffy Maharani, and her ambitious Americanised actress side, characterised by the completely self-absorbed Sheila Swan. Sixty minutes in length, video. Written by Jan Derbyshire. Produced by Walter Daroshin. Directed by Gary Harvey. &apos;Totem&apos; documents of the creation of the world&apos;s tallest totem pole. The project was the brain-child of Coast Salish artist Richard Krentz and for the first time in recorded history employs the talents of artists from different Coast Nations. The program begins with the felling of the tree north of Campbell River on British Columbia&apos;s Vancouver Island and concludes with it&apos;s raising two years later in Victoria&apos;s inner harbour. The project is a testament to the courage and conviction of it&apos;s creator, Richard Krentz. We witness the events through Richard&apos;s emotions as &apos;his pole&apos; is completed. Thirty minutes in length, video. Written, Produced and Directed by Walter Daroshin. &apos;The Magic Of The Celts&apos; is an adaptation of Treasa O&apos;Driscoll's successful one woman stage performance incorporating storytelling, poetry, and song. It is an evocation of the spirit that animates Celtic literature and music with particular reference to Ireland. Treasa draws on a rich oral tradition of stories and songs to demonstrate the fundamentally spiritual outlook of the Celts and it&apos;s relevance to the consciousness of our time. The show transports an audience backwards, forwards and inwards to the Self simultaneously. Treasa seeks to establish in each of her presentations a moment in time when she and her audience experience a state of oneness. Thirty minutes in length, video. Written by Treasa O&apos;Driscoll. Produced by Walter Daroshin. Directed by Tony Papa. &apos;Body & Soul&apos; explores the human spirit's remarkable ability to overcome adversity - using the body to boost the mind. The show&apos;s tag reads - &apos;Spiritual Awareness Through Physical Challenge&apos;. The half-hour pilot witnesses two such examples. We begin by meeting Rosemary Keevil. As the dynamic host of the program, and one of it&apos;s subjects, Rosemary introduces us to the show from her home in spectacular Vancouver, British Columbia. We proceed to inspire through two unique adventures. The first in the urban jungle of New York, the second in the limestone back alleys and cobblestone streets of Malta, in the heart of the Mediterranean. We blend powerful, personal stories, exciting locations and physical endeavours. The result - strengthened, solid resolve. Thirty minutes in length, video and 16mm film. Written by Walter Daroshin and Rosemary Keevil. Produced and Directed by Walter Daroshin. 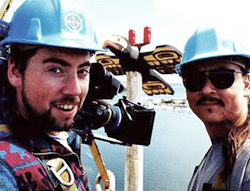 &apos;Pacific Profiles&apos; introduces viewers to accomplished and unique individuals who work and play in Vancouver, British Columbia. Each week we meet two people from a variety of social sectors including entertainers, athletes, business-people, social activists, cultural figures, politicians, spiritual leaders, artists, and educators. Our profiles are drawn from the cultural and ethnic milieu which is Vancouver. &apos;Pacific Profiles&apos; provides a unique glimpse into the heart and soul of some of Vancouver&apos;s most accomplished individuals. They allow themselves expression through comments on who their heroes are, what inspires them, what they are most proud of, and what it is that makes them do the things they do. 78 thirty minute episodes, video. Co-Produced and Edited by Russ Dionne. Written, Produced and Directed by Walter Daroshin.